The announcement by the Prime Minister of an impending general election precipitates a flurry of activity in constituency and local party branches throughout the country. Emergency meetings are hastily convened to put the local party machines on a ‘wartime footing’ and to make arrangements for the formal adoption of Parliamentary candidates. 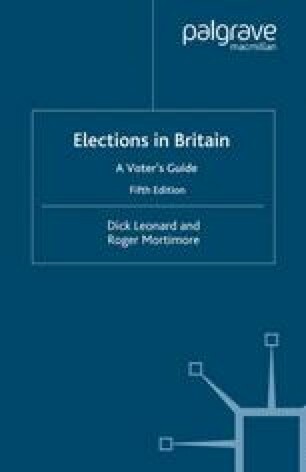 For a more detailed survey of the campaign in the constituencies, see David Denver and Gordon Hands, Modern Constituency Electioneering London: Frank Cass, 1997). For a readable and up-to-date account of the campaign from the candidate’s point of view, see Paul Richards, How To Win An Election, 2nd edition (London: Politico’s Books, 2004).